Studies show that mobile working has been growing by 50% over the past 20 years, and, this is a trend which is not going to stop any time soon. The concept of BYOD was first introduced in 2009, but only in 2011, it started to become an emerging trend. Employees are more comfortable and often work faster with their own technology. Reduced hardware spend, software licensing and device maintenance. Flexible working often brings more satisfaction to the employees. These days, almost any device runs on an HTML5 browser, meaning you can access your workspace – your applications and files – through all these devices. The workspace runs inside the browser. As such, there is no local data on the device (if you don’t want to). This is obviously a big benefit from a security and compliance point of view. Given there is no need to manage devices from a deployment or security/compliance perspective, IT organizations can gain significant cost optimizations when adopting a browser-based workspace. 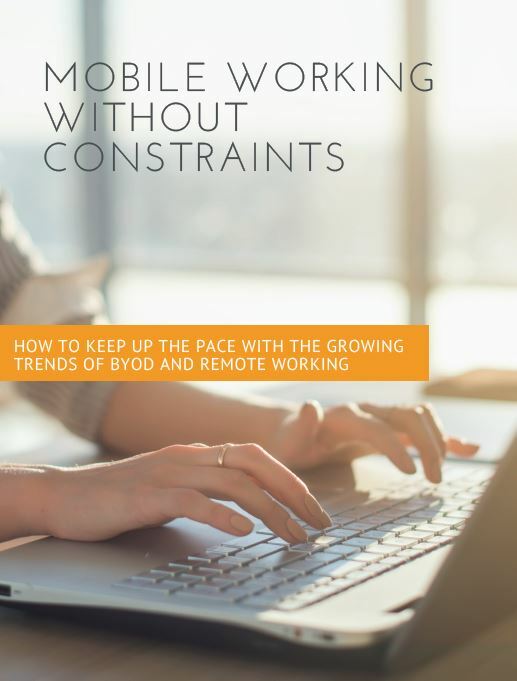 Fill in the form below and download our white paper “Mobile working without constraints” to find out how Awingu can enable your business to enjoy full benefits of mobile working and secure BYOD policy.